1. If you haven’t already, download and install iTunes from Apple’s site. 2. During the initial set up, iTunes will encourage you to create an account. While you don’t have to make an account to use the application, you do need an account to search for album art. Creating an account is easy, free and only requires an active email address. 3. Wait for the initial set up to finish and import your music library. While this happens, ensure that you are logged in by clicking on the “Store” tab and seeing if it asks you to log in. If so, then you’ll need to enter your email and password. If not, you’re already logged in and can move on to the next step. 4. 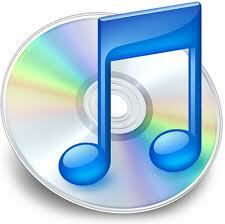 Once all of your music library has been entered into iTunes, click on the Music tab. 7. The status bar will change to “Getting Album Artwork”. This may take a while depending on the size of your library. 8. After a little while, the status should change to “Downloading Album Artwork” . This again may take a while depending on your music library. 9. Change your view to “Cover Flow” and you will see all or most of the albums missing art work now have some. This tutorial will work on devices running Windows and/ or Macintosh.